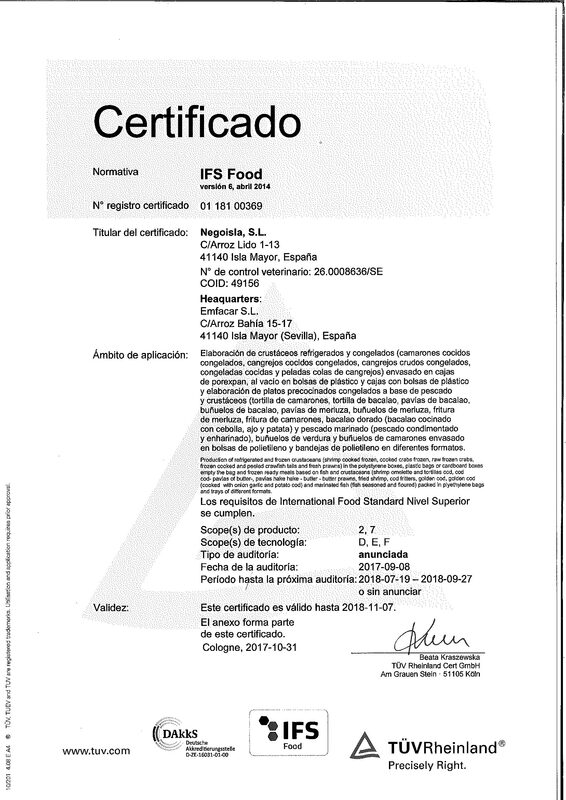 Strict quality and food safety controls in all processes. 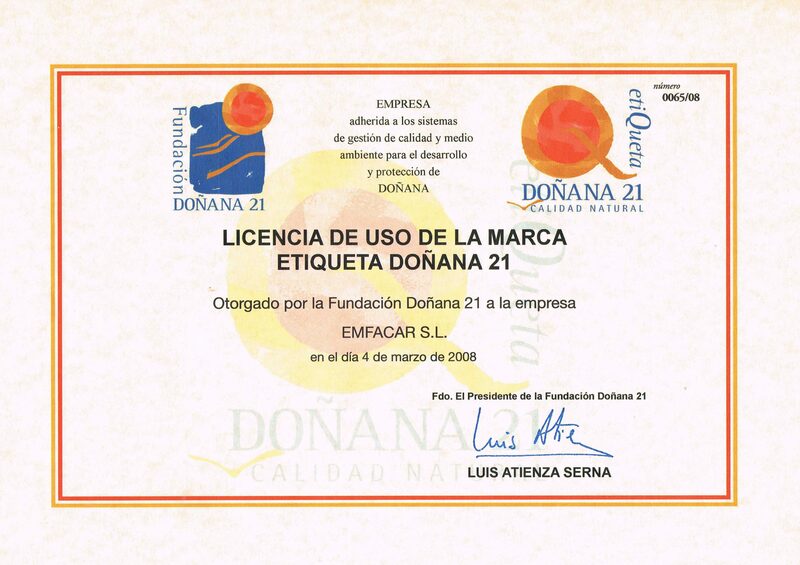 EMFACAR works alongside different organisations such as the “Sustainable Fisheries Partnership” NGO and the Doñana XXI Foundation to guarantee sustainable fishing activity and contribute to conserving the environment in the future. The entire EMFACAR team is committed to the well-being of people and animals, and to the surrounding community in which it participates. Its labour, economic and social relationship management is governed by the protocols of a strict code of ethical conduct, good governance and corporate social responsibility. Audits are conducted periodically to guarantee this commitment and to involve company personnel in this system with ongoing training activities.